1Associate Professor of Agriculture Extension and Education, Agriculture College, Razi University, Iran. 2Ph. 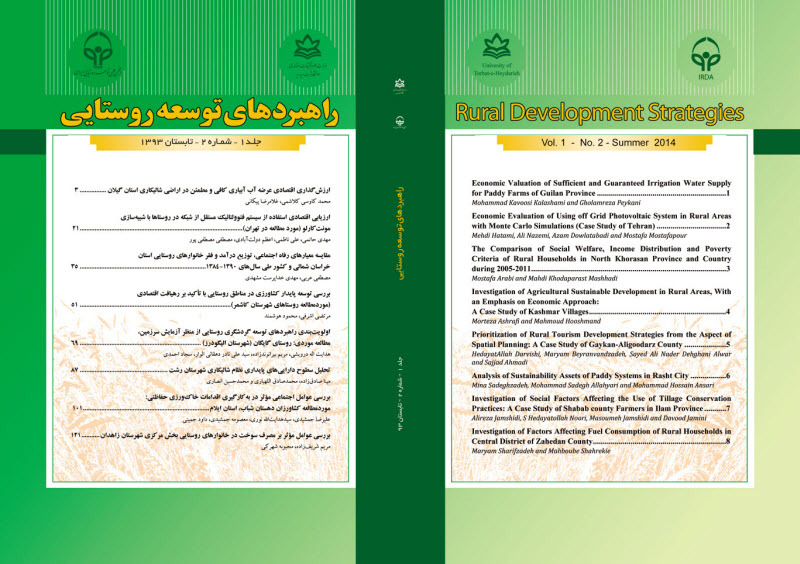 D. student of Rural Development, Agriculture College, Razi University, Iran. 3Ph. D. student of Agriculture Extension and Education, Agriculture College, Ilam University, Iran. Today, in many countries of the world, in some cases women are barred from interfering in politics and social roles. Thus, still it is necessary to place women in political, social, economic and cultural activities. The purpose of this study is to examine individual and family barriers to women's political and social participation of the Shirez District in the city of Harsin. The research methodology used is descriptive-correlation and it is carried out by using a survey. The statistical population included the women older than 6 years in the Shirez District. A sample size of 333 person was determined by using the Kerejcie and Morgan table. They have been selected using the convenience sampling method with proportional assignment. Data analysis was done by using the Spearman coefficient and multiple regression analysis. The results showed that the political participation of women is in the medium level and their social participation is in the high level. Also, the results indicated that women believe that they are not able to participate in political affairs. The inability to communicate with others, the physical weakness and other problems, high volume of activities of women at home, high volume of activities in the agricultural sector and livestock, accepting dominance, lack of experience in political and administrative affairs and unwillingness of women compared to men in management are the main barriers of the political and social participation of rural women.